By now you know that I LOVE music- I love teaching music, learning about music and composing music. I love teaching music because it is so important in child development. Music is one thing that connects all the parts of the brain and I believe is a determining factor in healthy mental, social, academic and physical development. So let me share with you some of my ideas on why music is important in child development. Music is important for so many different reasons and I know you’ll want to check out my ideas on music and movement in this blog post series on Creative Movement. There I share ideas on how to use movement with music and why it will help children at home and at school. And you’ll want to keep reading for FREE POSTERS! Innovative Creative Movement Activities- Especially helpful to understand the importance of music and movement. Ev’rybody knows this stuff- right? I have discovered that not even all TEACHERS know this stuff- I mean why music is important in child development. Yes, the get it in the sense they want their students to have it one time a week- but many teachers, parents and adults don’t understand how daily musical experiences can help your child even more because learning music and experiencing music requires auditory, motor, sensory, and visual systems to work. And that means they’re growing! When they hear music they MOVE! When they hear music they FEEL! When they hear music they RESPOND! Check out this Video with some great scientific evidence you might want to share with your students. Sometimes as music educators, we have to share with our students WHY they need to participate positively in class-or why it’s more than a grade. This video is perfect for those upper elementary and middle school students. It will help them understand they way music makes brain connections and helps them be smarter in other areas. If you teach or are raising children with brain disorders, special needs, or just want to help your child develop the “whole” brain, this article from Psychology today is extremely beneficial. HOW MUSIC HELPS WITH BRAIN DISORDERS. Music is important for social development too. With the ever increasing reliance on technology and devices, more children are NOT having group social experiences. Music class provides so many great opportunities for children to develop socially. As children play music games, dance, and make music together, they learn to be friends and that other “kids” are safe and that they are Ok in social situations. Here are some free music game songs to get you started. If you’re looking for some fun game songs for your students, you may want to check out these top sellers. Music can change emotions. 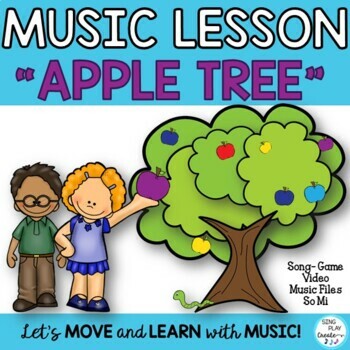 Music educators love to teach Peter and the Wolf and read musical stories, ask students to show how the music makes them feel in listening glyphs, and have their students experience a variety of activities that encourage students to connect the music with their feelings. Music helps tell stories. Imagine “Star Wars” without the opening theme! Imagine “Phantom of the Opera” without the organ music. Imagine any Disney song without their signature female vocalist. Music can validate feelings,c an change feelings and set the tone for a video or play presentation. 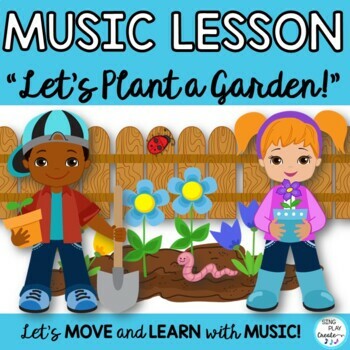 Try using music in your home or in your classroom to “set the mood”. You may find that the children and students respond better than you think. Listen to these concrete examples of music and how it’s explained by Hauke Egermann in this fascinating TED Talk. Do we invite parents to our classrooms? Do we extend ourselves to the other teachers at our school? Do we seek out opportunities to share with the community? 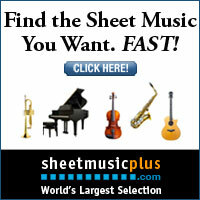 How do you present your music programs? How do you share your music curriculum? How do you communicate with your parents? Here’s another Free poster you can have if you SUBSCRIBE by CLICKING HERE. You’ve got some ideas now- RIGHT? You can make a positive impact on spreading the message about why music education is important in child development. One of the notes I received this year from a parent was; “Thank you for making music fun for Jackson”. I have to say, that my goal as a teacher wasn’t necessarily to be remembered as the “fun” teacher- but I’m changing my mind about that too- Because “fun” is something that everyone remembers! Seriously- Adults need music too! How to Teach Patriotic Music to Touch Hearts– You’ll find some great ideas about helping students connect feelings/emotions, music and culture. Here’s some links to some ideas and resources you might want to check out that give some insight into the importance of Music Education and the direction of technology in our schools.